Does your team prefer Python over R? Or are you looking to brush up your on your Python skills? 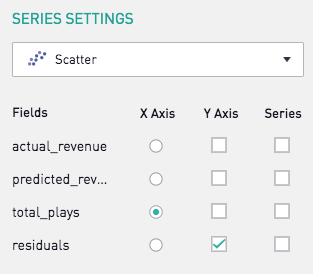 We'll walk through a simple example of a linear regression model using the scikit-learn library in Periscope's Python/R Integration. In this exercise, we will also follow guiding principals on creating training and testing datasets. Let's get started with Python! In the example below, we use Python 3.6. To begin setting this up, let's first import our libraries, and define what we want our X (our explanatory variable) and Y (response variable) to be. General guidance suggests that we use 70% of our data in our training dataset, and 30% for testing. It's also imperative that this assignment is random. Scikit-learn has a function called train_test_split specifically designed for this (which is why we imported it earlier)! Great, now let's build our model using the training dataset. Python makes this simple with 2 quick lines of code. This returns 0.56 for model.coef (which is our slope, m), and -3675 for model.intercept_ (which is our y intercept, b). Note that the y intercept doesn't make much intuitive sense here (this implies we have negative revenue when there are 0 gameplays). It's important to take any model outputs with a grain of salt, and to understand when it makes sense to use the model, versus when another approach would be more practical. 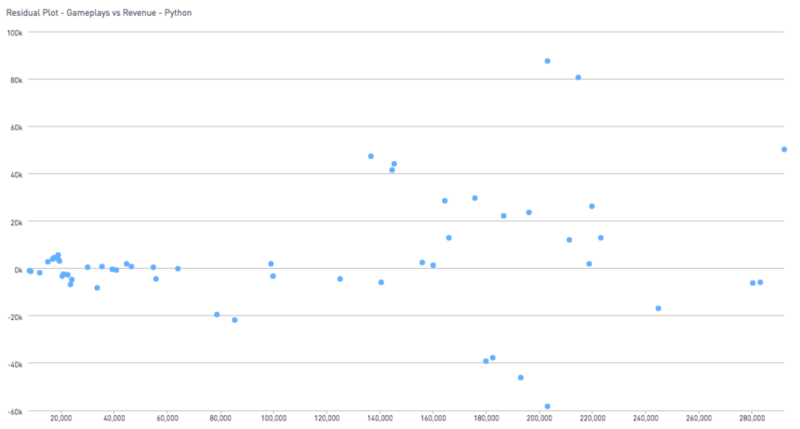 Another key metric when discussing linear regression models is the R^2 value. The closer this value is to 1, the more likely it is that the data is explained by the linear regression model. We call the R^2 value on the test dataset, as shown below. For the example above, this returns 0.81, which is a fairly strong R^2 value. We can take this further and look at the difference between the predicted y values and the actual y values. This difference is referred to as the residuals. The code below accomplishes this by (1) calculating the predicted values for Y given the values in X_test, (2) converting the X, Y and predicted Y values into a pandas dataframe for easier manipulation and plotting, and (3), subtracting the actual - predicted y values to reach the residual values for each record in the test dataset. Let's look at the model, comparing it to our test data. 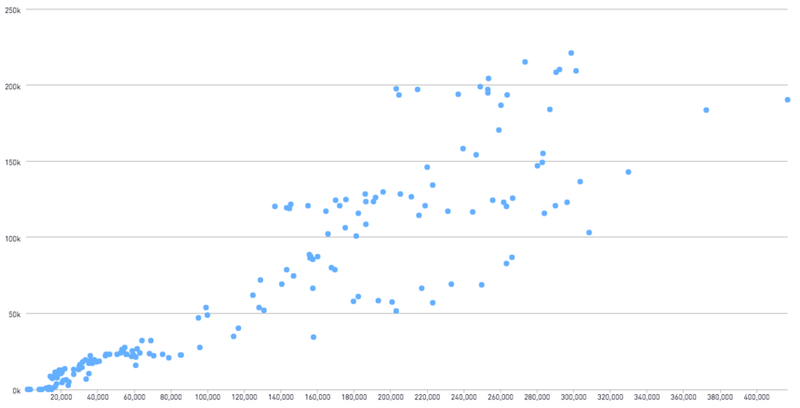 In this residual plot, we see that there is no trend in the residuals. This is also further evidence that the data is well explained by a linear model. New to Python? Did you find this post helpful? Let us know in the comments what you'd like to see! 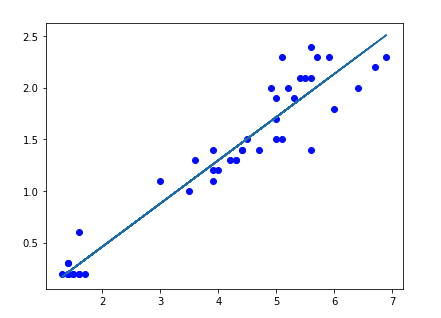 For more information on linear regression models in Python, I found this blog to be especially helpful! Prefer R? See the community post here for an R equivalent!